In lieu of flowers memorial donation may be made to the First Baptist Church and left at the funeral home. 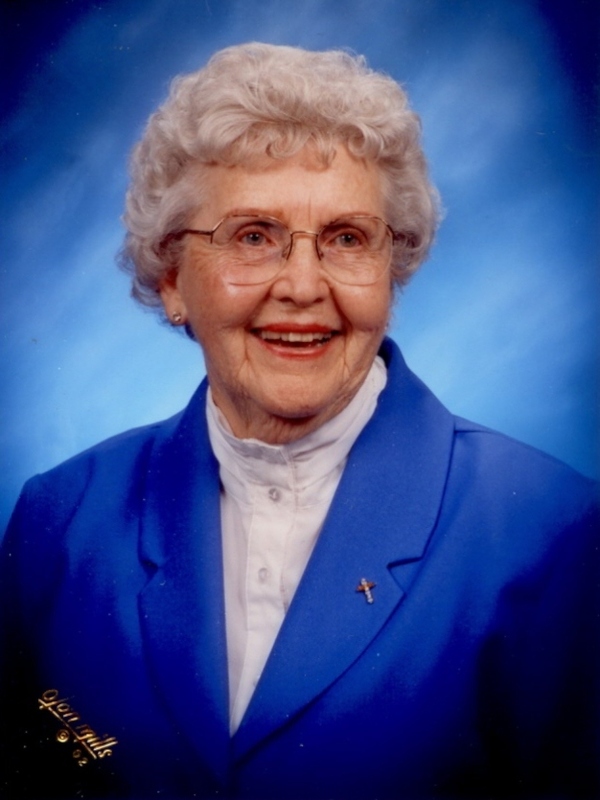 June Elizabeth (Curtis) Brandenburg passed away March 19, 2013, at Cedar County Memorial Hospital. June was born to Colby and Katherine Curtis on June 1, 1923, in Oakland, California. June attended school in Dederick, MO, moving to Kansas City to work for Southwestern Bell in 1947. June married Don Brandenburg on November 18, 1967, and moved to El Dorado Springs after her retirement from Southwestern Bell Telephone Company. Don and June enjoyed driving the countryside together while Don was an over-the-road truck driver. After Don retired, they joined a group of friends at a long table at Casey’s Restaurant for breakfast and again in the afternoon for coffee. Discussions at the table ranged from politics, religion, families, careers, etc. Each couple seemed to have a special expertise of preference. The group seemed to rely on Cleo McKinley, Merle Hicks and June for story telling related to work incidents. June could entertain the group with funny stories that happened during her long career as a telephone operator and supervisor. The El Dorado Senior Center was another of June’s favorite places. June loved her church. It was very rare that she would miss a service, and it was always noticed if her spot in the center section of pews was empty. June was preceded in death by her husband, Don; her parents; her brothers, Albert, Henry and Bob Curtis; and her sisters, Mildred Giereke and Helen Carver. June did not have children of her own, but loved spending time with her eighteen nieces and nephews and numerous great nieces and nephews. Local survivors are her niece Lisa Whitesell and husband Denny; nephew Mark Curtis and wife Kristi, nephew Rusty Carver and wife Judy; and sister-in-law Lou Ann Curtis. Services for June Brandenburg were held March 25, 2013, at the First Baptist Church in El Dorado Springs with Pastor Ron Marsh officiating. Rusty and Emily Carver provided music. Burial followed at the El Dorado Springs City Cemetery under the direction of Bland-Hackleman Funeral Home. Pallbearers were nephews: Rusty Carver, Ray Carver, Mark Curtis, Tom Curtis, C.A. Curtis, and Guinn Curtis.